Alice Movie (1990) is one of Woody Allen’s most underrated films but it deserves more credit that it gets. 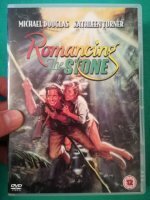 It has all the hallmarks of the director’s best work - cinema magic, great locations and an excellent cast. The story: Alice Tate seems to have it all - a successful stockbroker husband who she’s been married to for 16 years, two beautiful children and a fabulous Manhattan apartment. She spends her days shopping, going to the beauty salon and organizing dinner parties but she’s bored and wants to live a more meaningful life. While collecting her children from school she sees divorced jazz musician Joe Ruffalo and is smitten with him. Due to ongoing back pain she consults Chinatown acupuncturist Dr. Yang who advises her that her problems are not back related but psychological. Dr. Yang’s herbal treatments release Alice from all inhibitions and help her to find what she really wants in life. Alice is a fairly lightweight piece that’s less known than Woody Allen’s other movies but that’s not to say it isn’t any good. The story explores the question of rich folks having material wealth but lacking real substance in their lives. 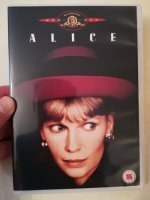 It stars Mia Farrow as the neurotic and naive Alice who finds herself stuck in a rut, she’s married to a wealthy man but she feels very unfulfilled. Farrow plays the Allen-esque role brilliantly and it’s a role she sinks her teeth into. She’s onscreen in every scene and it’s one of her best performances in an Allen film. The journey of her character is really interesting, even though she’s a pampered consumerist she’s entertaining to watch. There’s a large talented supporting cast and even though they have small roles, Alec Baldwin as Alice’s old boyfriend and Cybill Shepherd who plays high-flying executive Nancy are especially colorful. Also, Julie Kavner’s brief appearance is very funny. The cleverly written script has some fine one-liners and is full of funny commentary on marriage and life. Overall, Woody Allen fans will love this movie, it’s not his best but it still has a lot going for it.